Everyone knows the tale of Cinderella. Whether it is the Disney or Rodgers & Hammerstein version. But, I am pretty sure you haven’t seen Cinderella the way the Children’s Theater Company tells it. The story loved by generations is still there. Cinderella still attends the ball. The Prince still searches for her after she leaves her glass slipper behind at the ball. But the Children’s Theater Company has adapted their version to include well known songs both current hits and timeless tunes. As well as references to some of the biggest names in current pop culture. Including references to the Guthrie Theatre and Vikings QB Christian Ponder. There is also plenty of audience interaction and participation. Not to mention tons opportunites to laugh. Director Peter C. Brosius brilliantly hides major scene changes behind a Dickens style Christmas celebration at the front of the stage. The set is gorgeous and full of special effects throughout the show that add to the overall grand fell of the production. Autmmn Ness as the Stepmother, Dean Holt as Pearl and Reed Sigmund as Dorcas is pure comic gold. These actors havebeen in countless CTC productions over the years, but truly shine in these roles. Their acting choices and timing are perfect. Cinderella is always a story that is perfect for the whole family. But this production is perfect for the adults to enjoy as well. There are tons of jokes aimed at adults that are also perfect for kids. 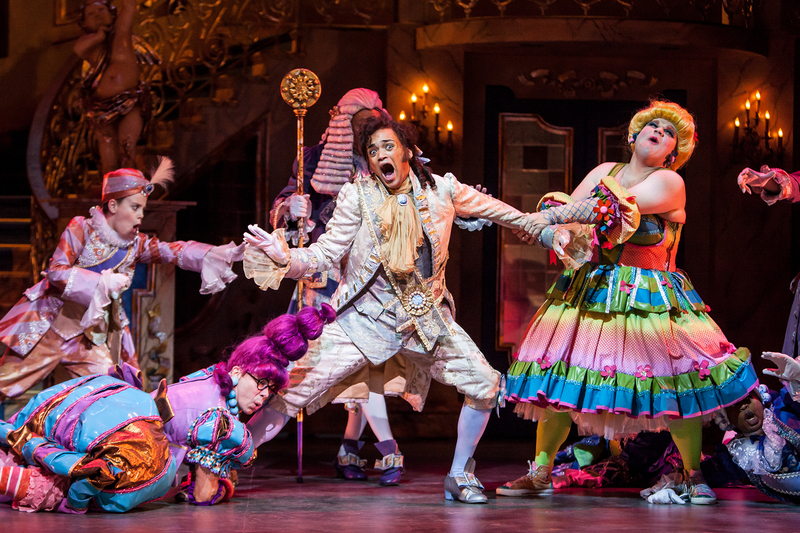 Whether you have kids or not, Cinderella is a great way to spend a few hours at the theatre. For more information on Cinderella or to purchase tickets, visit the Children’s Theatre Company’s website.